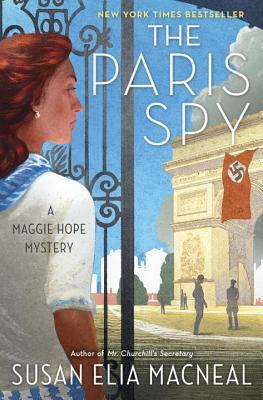 Susan Elia MacNeal is the New York Times bestselling author of the Maggie Hope mysteries, including Mr. Churchill’s Secretary, Princess Elizabeth’s Spy, His Majesty’s Hope, The Prime Minister’s Secret Agent, Mrs. Roosevelt’s Confidante, The Queen’s Accomplice, and The Paris Spy. MacNeal won the Barry Award and was nominated for the Edgar, Macavity, Agatha, Left Coast Crime, Dilys, and ITW Thriller awards. She lives in Brooklyn, New York, with her husband and son.